Marion Finkels Kreith was fourteen when she and her family fled Nazi-occupied Europe and sailed across the Atlantic Ocean. At a time when most countries had shut their doors to the refugees, one of the only options for escape was a Caribbean island – Cuba. Among the many Holocaust stories, that of Jewish immigrants who survived by fleeing to Cuba is barely known. Refugees who made it to Havana, including young Marion, found work to support themselves and their family members in a newly transported trade: diamond polishing. Firsthand survivor accounts take us back to 1940s Havana – an era at once tumultuous, heart breaking, and intoxicating – to reveal an immigration success story. 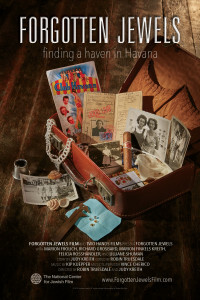 Cuba’s Forgotten Jewels_Trailer from Robin Truesdale on Vimeo.